TICO Manufacturing has built its 400th Galvanized Pro Spotter terminal tractor. TICO brought a galvanized tractor to the market in 2011 and the 400th machine rolled off the assembly line at TICO’s facility in South Carolina this week. “Necessity is the mother of all inventions”, said Frank Tubbert, General Manager of TICO Manufacturing. “Creative product design solutions to simplify and at the same time decrease lifecycle costs for our customers are central to the TICO way…we hit the nail on the head with this one”. 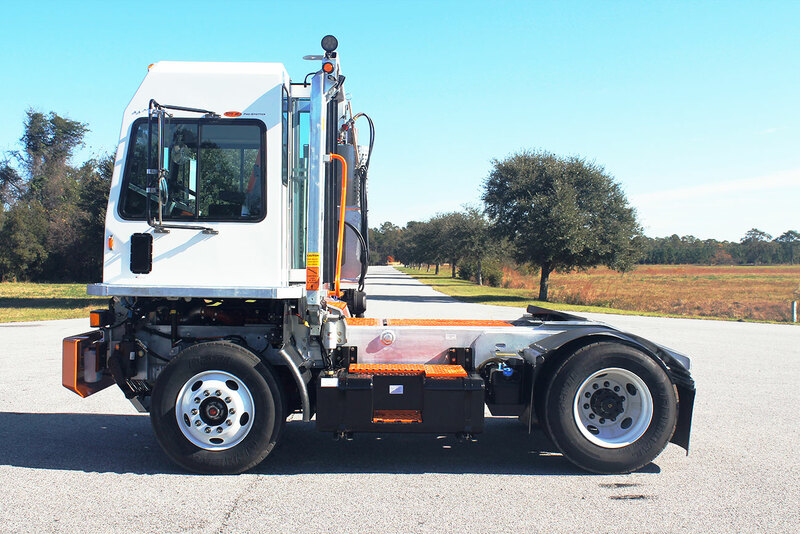 The company offers several galvanizing options, including complete protection of all major metal components, the entire continuous weld frame, cab protection bar, cab floor, fenders and fifth wheel assembly. “These protected components, along with the standard high-strength fiberglass cab, make for the most corrosion and damage resistant yard tractor on the market today. The galvanized Pro-Spotter thrives in virtually all applications and environments, making for a far more durable finish than the traditional painted truck option on the market” said TICO. The benefit of galvanizing is increased protection from corrosion, which is particularly important in the US North East and Midwest where use of winter salt is common. “With the increasing costs of yard tractors today, lifecycle costs are becoming more and more critical…the galvanized option allows for easier maintenance and a more durable tractor overall”, added Tubbert.